Festive and joyful, it's THE place to dance! The ambiance is relaxed and intimate. There's lots of floor space! Here you will also find free water & snacks, free street parking, local and guest DJs, and many friendly faces! Like our page on facebook to stay up to date on the latest events and announcements! Tango Social Club is a Montreal Tango Community gathering place since 2011. Known and well loved for weekly tango evenings and parties, and for special events that attract tango affionados from near and far! Studio Tango Montreal, was first established in 1997 and quickly established itself asone of the continent’s most well-respected tango institutions. In October 2015 with their building sold. ‘‘The Studio’’ found itself obliged to leave it's charming Old Port location. 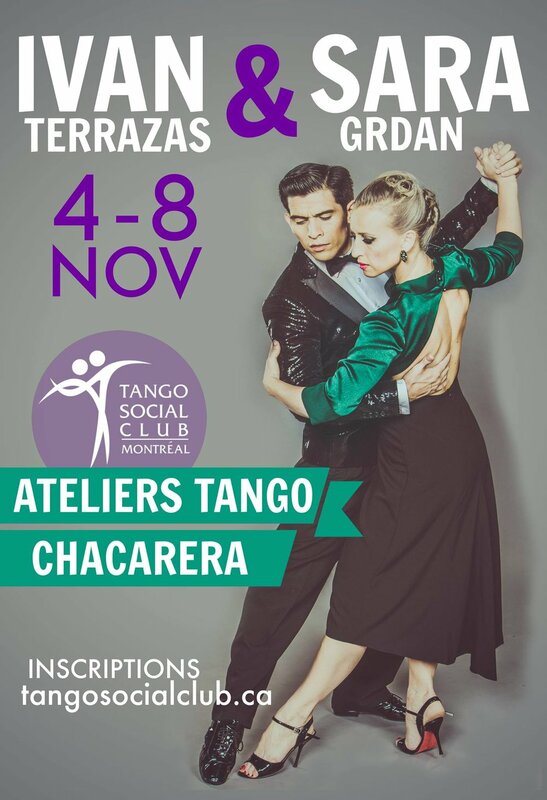 Tango Social Club, known for their hospitality and buena onda, stepped up and generously invited their friends from ''the Studio'' to become their new room mates and share their gorgeous space in the Villeray district. Et voilà ! Now TSC is home to two sister companies who complement each other very well - proving not only that being roommates is a convenient and practical use of studio space but that the close quarters and shared office space allows for the breeding and brewing of fantastic collaborative projects as well! Kristin co-founded Tango Social Club with Burak in 2011 and hosted the weekly milongas until 2018. She was the enthusiasm behind the festive energy, the warmth behind the milonga's welcoming spirit, and the creativity behind the venture. Louis is the former co-host of Saturday nights and is currently adventuring on the West Coast. He delighted us all with his love for conversation, tea-making, tango, languages and the occasional acrobatic feat. He was at Tango Social Club from 2012-2017 while attending osteopathy school in Montreal. Co-founder and our resident DJ from 2011-2016, Burak now lives in Istanbul. His DJ skills are legendary. He takes his buena onda with him wherever he goes and we love when he visits Montreal and hope he comes back often. Cenker is an internationally recognized DJ from Istanbul and has been DJing at Tango Social Club since he moved to Canada in 2013. With a clever awareness and sensitive ear, he inspires and delights dancers all night long. Rahul is the newest addition to the regular DJ crew. He brings an energetic selection to his DJ sets and lays out a stimulating 'trail' of songs for dancers. He is influenced by European trends and not afraid to take a few risks... or play a delightful practical joke. Lovely Edith will greet you with a warm smile at the door on Monday nights. With her grace and genuine kindness, she makes you feel right at home. We are fortunate to have had the pleasure to dance to the music of many fabulous guest DJs from around the world! Several times each year we organize special events, often with world-renowned artists and guest instructors and all-night dancing. Here is a look at some past events... all memorable!